Home news IT’S NOT NEARLY ENOUGH TO PREVENT A FAMINE. SAUDI ARABIA LIFTED ITS BLOCKADE OF YEMEN. IT’S NOT NEARLY ENOUGH TO PREVENT A FAMINE. SAUDI ARABIA LIFTED ITS BLOCKADE OF YEMEN. People in Yemen were in crisis before a missile launched by Houthi rebels landed near Riyadh last month. The Houthi control the nation's west. They're backed by Iran, though that country denies that it's providing them weapons. A Saudi Arabia-led coalition has been trying to knock them from power for years. To that end, the coalition has dropped thousands of bombs on Yemen. 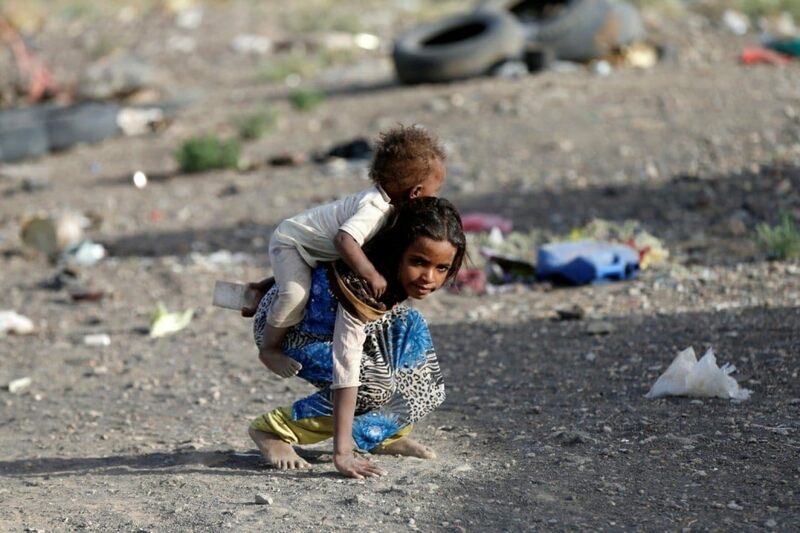 At least 10,000 Yemeni civilians have been killed. Things only got worse after the missile. Saudi Arabia imposed a near-total blockade on Yemen, making it impossible for food, water and fuel to pass through. That would be a challenge in any poor, war-torn country heavily dependent on aid. In Yemen, where 90 percent of all goods are imported, it's a catastrophe. Even before the blockade, 17 million people did not know where their next meal was coming from. Seven million are entirely reliant on food assistance. Famine is looming. Highly treatable, waterborne diseases are rampant. A child dies every 10 seconds in Yemen, according to UNICEF. Last week, after an international outcry, Saudi Arabia relaxed that blockade. Aid deliveries were allowed to two rebel-held sea and air ports. Since then, the BBC reports, only a handful of flights and ships have arrived. Some carried thousands of pounds of flour. Another brought aid workers and vaccines. It's better than nothing. But aid groups say it's not nearly enough. They warn that unless Saudi Arabia permits commercial shipments of fuel and food immediately, millions of people will starve. The lack of fuel is also a major problem. Yemenis rely, overwhelmingly, on pumps to coax clean water out of the ground. Those pumps need fuel to run. Nine cities ran out of clean water because of the blockade; more than 2. 5 million people are without reliable access to clean water. The Red Cross said its supplies will allow water systems in Hodeida and Taiz to run for a month. Unsanitized water will also make it nearly impossible to stem the worst cholera outbreak in history. Nearly a million people have contracted the waterborne disease, and 2,000 people have died.